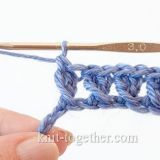 We begin to crochet, with the required amount of chain stitches plus 3 turning chains. 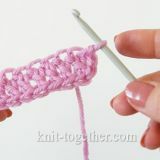 Then we make the double crochet stitch into the fifth off the hook loop (the loop on the hook is not counted). 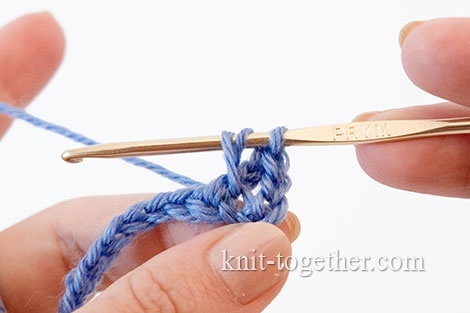 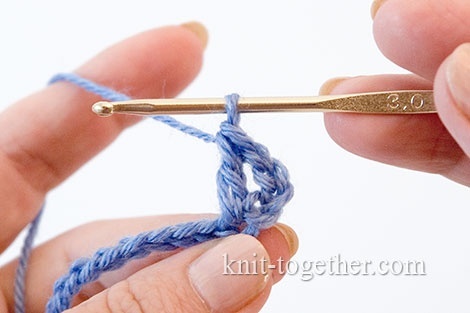 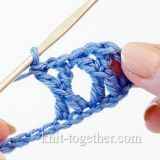 Make the yarn over, insert the hook of the previous loop (fourth loop) of the chain, grab and pull the working yarn. 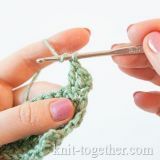 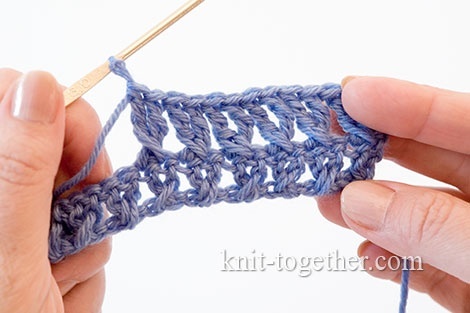 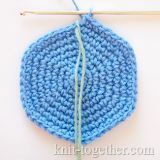 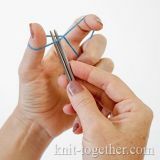 The crossed double crochet stitch used most often, but you can crochet them with a lot of the yarn over, for example with two. 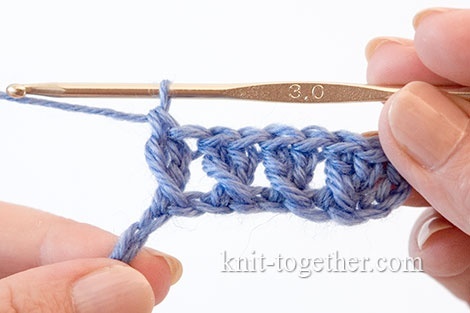 The principle of crochet is the same. 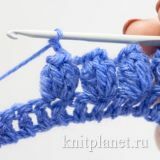 In the photo: the lower row - the crossed double crochet stitches (crossed dc), the top row - the crossed treble crochet stitches (crossed tr).